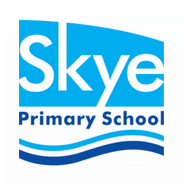 At Skye Primary School we are running a fun pre-prep program! You are your child’s first and most important teacher and we are here to help you develop some simple strategies to build strong language skills with your child. This is key to their success in learning to read and write when they come to school! This is a free program to help your child’s speaking and listening skills at home! The program is for parents and carers of babies, toddlers and preschool aged children. Everyone is welcome! Bring the children, they can play while you listen! Enter at our school office and we will show you to our prep building where we will be running this program. Every participant receives snacks and a free book is provided! You can also contact Taryn Clough from our Prep Team for further information on (03) 9786 1555. This wonderful program is being run at many local schools – if you cannot make a session at Skye Primary School, you can look online and book in at another local school also!